Arthur (Ledge) Nettles, P.E., P.L.S. Ledge is the owner of Baseline Surveying & Design, LLC. He has a B.S. in Civil Engineering from Auburn University (1995). 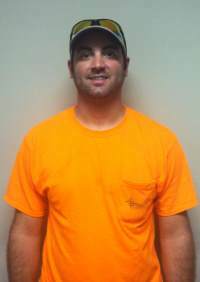 Ledge is licensed as a professional engineer and land surveyor in the State of Alabama. He is also licensed as a professional land surveyor in Georgia as well. He worked for T. Richard Fuller Land Surveying, Inc. after graduation. He gained engineering experience from The WIT Group, Inc. and Civil Design and Consulting, Inc. where he served as vice-president and chief surveyor before starting Baseline Surveying& Design, LLC. Ledge has been a part of the design and layout of shopping centers, parking decks, athletic fields, office sites, apartment sites, subdivisions, gas stations, and many other development types. This wide range of experience allows him to see more than just one side of the construction puzzle. Chad is a Staff Surveyor for Baseline. He graduated from Luverne High School in 2009. He attended Troy University and graduated with a Surveying and Geomatics degree in December 2014. His hobbies include hunting, fishing and being outdoors. His future plans are to continue to grow in knowledge of the Surveying field and become a Professional Land Surveyor. 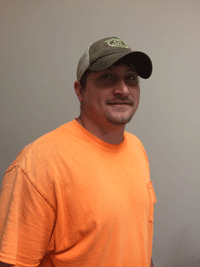 Todd Loyd is a staff surveyor and lead draftsman for Baseline. He has a degree in Engineering Drafting and Design from Southern Union State Community College. He has been at Baseline since March 2012. 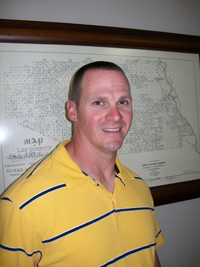 Todd has worked on a variety of tasks including construction staking, boundary surveying, topographic surveying and more. His primary task is drafting for all projects. Todd's versatility and work ethic makes him an important part of Baseline.